Cook over medium heat, stirring constantly with a wooden spoon, for 3-4 minutes or until sauce thickens. Stir in 40g (1/2 cup) of the parmesan until it melts. Remove from heat. Season. Set aside to cool slightly. Stir in the lobster.... Preheat the grill to high heat. Trim the claws off the lobster. Lightly brush the lobster tails and claws with Bertolli 100% Pure Olive Oil and put on the grill, placing the tails onto the grill flesh side down. Combine the olive oil (or butter), lemon juice, dill, and salt in small mixing bowl until the salt has dissolved. Brush the mixture onto the flesh side of lobster tails. 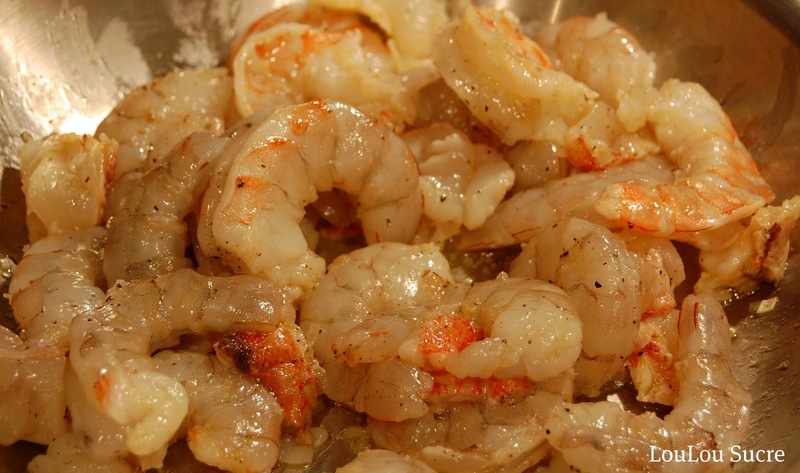 Place the lobster tails onto the grill and cook …... Add olive oil directly onto the flesh. Place the lobster under the salamander for a further 5 minutes. Add herb butter (butter, parsley, coriander, mint, and oregano) directly on to the flesh and grill under the salamander for a further minute. On medium heat, heat up a skillet with the olive oil and butter. Add the garlic and saute, then add the lobster meat, follow by salt and black pepper.... Heat the olive oil in a saucepan over medium-low heat. Add the lobster shells and cook for 1-2 minutes. Add the stock and bring to the boil. Reduce heat to low and simmer for 5 minutes. Preparation. 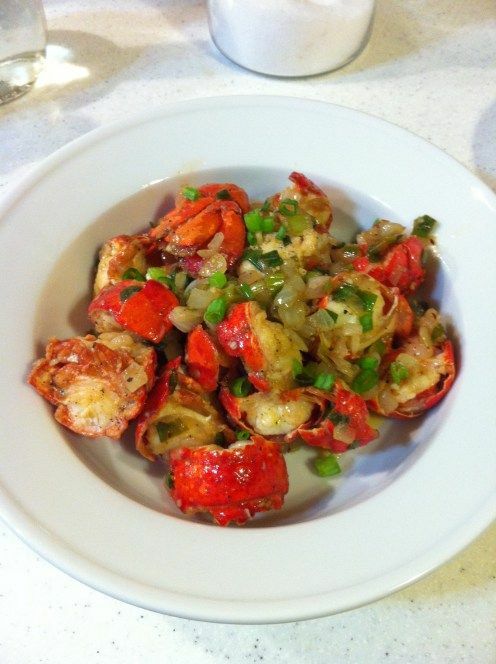 In a food processor, finely chop the lobster legs and shells with the oil until it turns orange. Transfer to a saucepan. Add the peppercorns and bay leaf. Olive & Ciboulette Lobster Oil - an amazing taste sensation. Created in Vancouver, Canada, Olive & Ciboulette Lobster Oil is the inspiration of Frédéric Couton, former Executive Chef of the Cannery Seafood Restaurant. Add olive oil directly onto the flesh. Place the lobster under the salamander for a further 5 minutes. Add herb butter (butter, parsley, coriander, mint, and oregano) directly on to the flesh and grill under the salamander for a further minute.